The basic principle. The general idea is to make widespread use of these documents as easy as possible and as cheap as possible. This is done especially so they can be used freely in less developed countries but those in developed countries are invited to profit from them as well. Thus, it is allowed to download them and distribute them. Nevertheless, certain restrictions have to be applied, in order to guarantee a legitimate usage. Rights. With few exceptions, the rights to all the documents on this site are retained by David Shutes, the author. (For the exceptions, the rights belong to a publisher.) Even though the documents are available for free, the author (or publisher) retains all rights to the text. Modifications. In general (see the following point for a notable exception), the documents must not be modified. They can be distributed freely (see below) but only in their original form. However, the use of a small part of the chronology in a document or on a website is considered as a quote (see below) rather than a modification, as long as nothing is changed in the part that is used. That is thus allowable without any need for obtaining prior permission. As stated below (see “Printing” and “Photocopies”), printing a document in black and white, even if the original contained color, as well as the inevitable loss of quality of a photocopy, are not considered to be modifications. Modification of the maps. The notable exception to the “no modifications” rule concerns the use of the maps. The maps, especially those that simply show the geography (with or without cities), are made to be used and modified. It is often difficult to find on internet a map that can legally be used as a starting point for producing a map showing some particular aspect of Biblical geography or history. These maps are made available to that end. They are relatively precise, though simple, and the author retains no rights to their use. They can thus be useful in making a map that is more detailed, more limited, or more complete. Feel free to cut them up and/or add whatever details are useful for your particular project, without obtaining permission for their use. Price. All the documents are free. There is nothing to pay, and users are not asked even to make a voluntary contribution. These documents have been produced as part of Dave Shutes’ teaching ministry, not as a way of earning money. Quotes. Quotes from these documents, even extended quotes, are authorized. Nevertheless, quotes should be attributed to the author and the quote must be conformed to the original text, without modification. Distribution to others. The computer files (mostly in .pdf format) can be distributed to others freely, without obtaining permission from the author or publisher. Nevertheless, they cannot be modified, not even as to the file format (though they can be compressed in an archive file). In particular, users are asked not to convert them to an editable format (.doc, for example) without explicit permission from the author. Sale. These documents cannot be sold, except with the explicit permission of the author (which could be accorded to a publisher, for example). Nevertheless, it is possible to request that the recipients pay the costs involved in the distribution (printing, photocopying, flash memory drive furnished, mailing costs…) as long as they are only the direct costs resulting from the reproduction. In particular, the price may not include any compensation for the work involved. Corrections. These documents, particularly those in French (which is not the author’s mother tongue), inevitably contain errors at first (spelling mistakes, typos, clumsy wording, and so on). If someone wants to make corrections to one of the documents, please contact the author. It will be possible in that case to obtain an editable text. The corrected document can then be put on the site, with the update information changed. The author will retain all rights to the text. No financial compensation can be given for corrections. Publishing. The author is firmly attached to the principle of free distribution of these documents. He does not make his living by producing or selling his writings. A publisher can obtain the right to produce and sell a bound version of one of these documents, but the contract will necessarily include the retention of rights to the text by the author, as well as the right of the author to distribute the document on internet and to authorize others to copy, print, photocopy and distribute it. Translations. Those who want to translate a document are asked to contact the author before doing so. Once completed, the translated document must be sent to the author, who may have the translation verified before authorizing its distribution, in order to make sure that the ideas of the original document have been retained. Translations are not required to be rigorously literal, but the author wants his ideas to be faithfully reproduced. The translated document cannot be distributed until authorization is given. As much as possible, all translated documents will be included on this site, no matter what language is used. 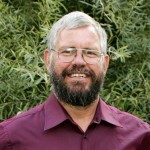 David Shutes is a Bible teacher and conference speaker, particularly in French-speaking countries of Europe and Africa. American by birth, he has lived in France since 1976. He has been a professor at Geneva Bible Institute since 1992 and has taught in various Bible schools in Africa and Madagascar since 2006. He is the author of several books which are available at present only in French.